On Episode 30 of the Irish History Show we look at the Siege of Jadotville in 1961. 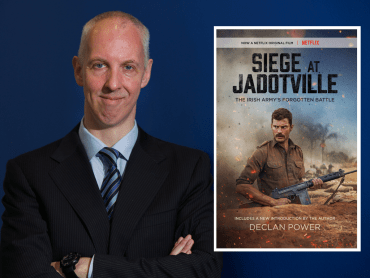 John Dorney interviews Declan Power, whose book on the siege was recently adapted for the screen in a Netflix movie. The engagement took place during the United Nations intervention in the Katanga conflict in Congo-Léopoldville, in Central Africa. “A” Company, 35th Battalion (UN service) of the Irish Army ONUC contingent was attacked by Katanga Gendarmerie troops loyal to the Katangese Prime Minister Moise Tshombe. The lightly armed Irish soldiers, besieged in Jadotville (modern Likasi), resisted Katangese assaults for six days as a relief force of Irish and Swedish troops unsuccessfully attempted to reach the Irish.